As a doula and a lover of birth, I have come to see an undeniable connection between birth and the Atonement. The clarity of this relationship has only grown as I have attended more births and spoken with more women about their birth journey. “Then cometh Jesus with them unto a place called Gethsemane, and saith unto the disciples, Sit ye here, while I go and pray yonder. And he took with him Peter and the two sons of Zebedee, and began to be sorrowful and very heavy. Then saith he unto them, My soul is exceeding sorrowful, even unto death: tarry ye here, and watch with me. 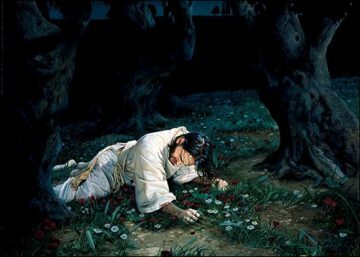 One thing that always stood out to me about the Atonement was that although Christ alone had to perform the miracle- He wanted to bring his disciples with Him to the Garden of Gethsemane. Before he entered the garden He chose three disciples, Peter, James, and John, to come into the Garden with him. Jesus doesn’t want to be alone for what he knows will be the hardest thing He will do in his life. It is the same in birth. Most women choose a few people to attend their birth—it may be their partner, mother, father, sister, best friend, or doula. As with Christ, they will choose people to come into their sacred space and support them in their birth. During the birth of my two children these people were my husband, midwife, and doulas. I prayed a lot about who to have at my birth because giving birth was going to be one of the most difficult things I would do in my life, and I wanted the people there to support me physically, spiritually, emotionally, and mentally. I just wanted them to love me. As a doula I have come to recognize the sacred space of birth and the responsibility to witness a laboring mother. 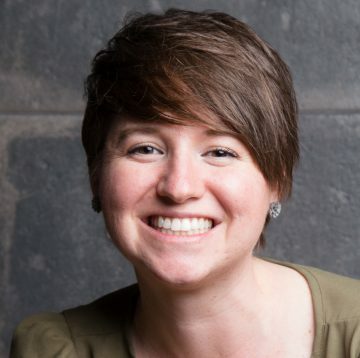 Doulas are trained in comfort techniques to help women in labor but there comes a time during birth when comfort is no longer possible. At this point of labor I recall realizing that I was alone—no one else but me could give birth to my child. I had to do it alone. Thankfully during both of my births when I came to that isolated point of labor, I was blessed to have loved ones there to witness me. Feeling their presence provided comfort to me when nothing else could; and to this day I credit a lot of my ability to have such empowering births to their watchfulness. Their touch didn’t take away my pain, but their company gave me the hope and the power I needed to keep going. These thoughts remind me of Christ in the Garden of Gethsemane. He was the only person on this Earth that could perform the Atonement because He lived a perfect life. Nonetheless, even during His greatest time of need, when He prayed to Heavenly Father to “let this cup pass from me”,iii He still had the desire to be witnessed. The suffering the Savior went through during the Atonement was beyond what any mortal could endure. Christ suffered for the sins, sicknesses, and pains of every person that had ever and would ever live, and He did it for one reason—love. Even when he was feeling “exceeding sorrowful, even unto death” v and prayed to “let this cup pass from me”vi Jesus continued suffering because he loved us perfectly. I know I will never experience suffering anywhere close to what Christ felt while performing the Atonement but I have felt those feelings. I remember thinking during my births “I can’t do this, this is too much to bear.” I have also witnessed countless times as a doula, the look on a woman’s face when she reaches this part of her labor. I have heard them cry out for it to be over. However, like Jesus, we continue with our labor which will look different for every woman. Our birth may take place at home, a birth center, or a hospital. It may be unmedicated, medicated, or a cesarean birth. No matter what we choose or how our birth happens, childbirth isn’t easy, but we do it because we love our child just like Christ suffered because He loves us. Charity’s love of birth began when she was preparing for the birth of her first child. She was blessed to have a doula, and following her beautiful experience knew that she wanted to help empower other women and families. Charity is now a birth doula and loves supporting women and their partners, and helping them feel confident and safe during the miraculous process of pregnancy and birth. Book Charity before May 23rd, and receive a free belly binding! Want to learn more about incorporating spirituality into your birth? Order your copy of The Sacred Gift of Childbirth today! Do you run a professional or church group that would benefit from a guest speaker? Today I am excited to announce 7 classes/presentations that I would LOVE to present to your group! By combining LDS doctrine with scientific data, my presentations are sure to inform, engage and excite your group. With over a decade of teaching experience and public speaking engagements, you can trust that you will be educated and entertained. Currently, all of my presentations are available in the Treasure Valley and the Wasatch Front/Salt Lake Valley. Contact me here for more details or to get something scheduled. Below you will find my options. Want something different? Just let me know! I’m happy to cater my presentation to your group’s needs. Appropriate for Activity Days, Young Women/Young Men, Youth Firesides, Relief Society Meetings, etc. Each presentation is approximately 1 hour- 45 minutes plus 15 minutes for questions/discussion. Redeeming Childbirth: Understanding God’s design for childbirth and how it fits into the plan of salvation. Also discusses how women are changed and magnified through the process of giving birth. Historical Birth: From pioneers to millennials, understanding how birth has changed for better and worse. Heavenly Mother: Where did She go and how can I find Her? Appropriate for expectant couples, doula groups, childbirth educators, parent support groups etc. Each presentation is approximately 1 hour, 45 minutes plus 15 minutes for questions/discussion. What is an empowered birth and how can I have one? Evidence based decision- making will also be discussed. A doula’s role to educate and still provide unconditional support. Finding the line between judgement and trained support. Make or break: How those you invite to your birth will influence it for good or bad. 3 hour Music Birth Class, $75/couple. Minimum of 2 couples. As a one-night comprehensive class, Music Birth is perfect for busy parents-to-be, a great refresher course for experienced parents and an empowering class for all parents who want to have a safe and comfortable birth. This class teaches moms how to become deeply relaxed, support people how to effectively encourage and comfort the birthing woman, and is the only class that teaches how to effectively use music during birth. Class tuition includes 3 hours of professional instruction, one signed copy of my book The Sacred Gift of Childbirth: Making Empowered Choices for You and Your Baby, Music Birth Class Manual, Playlist sample CD and Imagery practice CD. Who doesn’t love Christmas?! A joyous but stressful time filled with the hustle and bustle of celebrating and gift-giving. It reminds me of another joyous time in our lives, (often filled with exhaustion and stress…) having a baby. Mindfulness and careful preparation can lighten the load for either event. If you prepare and keep in mind the reason for this season in your life, slowing down can be a great blessing and gift to you and your family. 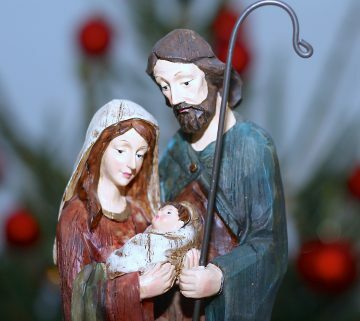 Jesus Christ’s birth has been foretold and testified of by prophets since the beginning of time, and is a necessary part of our Heavenly Father’s plan for our happiness. In the pre-existence, a plan was presented to us. We chose to follow that plan, and if we persevere in following that plan, we are promised blessings now and in the eternities. Similar blessings are yours if you take the time to plan the important events in your life. This goes double for childbirth. Most people are now familiar with the term ‘birth plan’. A birth plan helps you prepare for your birth and helps you communicate to others what your needs and wishes are. I also think women should create a postpartum plan. Adding a postpartum plan will help when you are being bombarded with the unfamiliar. It will remind you of what you need to be be doing (or not doing) for yourself and baby, as well as empowering other loved ones who want to support you during this special time. If possible communicate with your husband about ways he can lighten your load during this time, and let any visitors help out around the house. Make a list of chores you are comfortable allowing others to do. Things like dishes and sweeping would be easy suggestions, even things such as food preparation and laundry can be included… depending on your comfort level and your visitors’ willingness. If you have older children consider if they would benefit from some extra care and attention and enlist others to help you fill those needs. Allowing others to serve us isn’t always easy, and we often forget that serving blesses both the giver and the receiver. Be sure to give others the gift of a chance to serve! A doula would be a great resource to assist in understanding what sort of things to include in a postpartum plan. Your birth doula will be there to support you for an hour or two after baby is born and can help you protect that invaluable time for bonding. Some doulas are even trained as postpartum doulas whom you can hire to help out at home after baby comes. This is a great option if you don’t have a lot of close family or friends around who have extra time to lend a hand. Benefits of a postpartum doula can include anything listed in the above paragraph as well as breastfeeding support, running errands, and assisting in newborn and self care. A Doula will also have a good list of local resources such as care providers and support groups that she can help refer you to for additional support. The word ‘carnal’ can simply refer to that which is earthy or natural. I think we can take the word ‘purifying’ and equate it instead with healing, opposed to some sort of “cleansing”. I tend to think that the Lord gave this law to protect this essential time of healing for mothers and babies. Even today, many cultures understand this important concept and observe this postpartum period in various important ways that we seem to have forgotten in American culture. Places like Mexico and the Netherlands as well as Vietnam and China use this time to have other caregivers around to do household chores and take care of mom- giving her a chance to focus on resting and caring for baby. There are science-based reasons why this is an important time for babies and mothers. The World Health Organization has supplied recommendations for postnatal care of infants and mothers with the preface that “The days and weeks following childbirth – the postnatal period – is a critical phase in the lives of mothers and newborn babies. Most maternal and infant deaths occur during this time. Yet, this is the most neglected period for the provision of quality care.” It may also be noted that observing this time could even help to keep postpartum depression at bay. Momentum is growing to encourage families to take better care of themselves in the 4th Trimester and consciously reserve at least the 12 week period directly after childbirth as a time of healing and bonding. There are many things you can do to prepare before baby is born. The way you take care of yourself before birth as well as the environment and procedures involved in delivery can continue to influence your postpartum period. 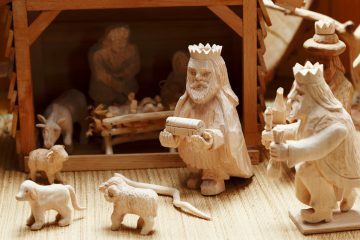 After the birth of our Savior Jesus Christ, the Wise Men celebrated by bringing him gold, frankincense and myrrh. These thoughtful gifts held both symbolic and practical meaning and would serve the family well. The gifts we give new families should support the mother’s healing and the infant-mother bond. The greatest gift we can give others and ourselves is the the time to enjoy the gift of bonding with a new baby. Birth is a big transition for everyone in a family, especially for babies. They are busy adapting to the change of environment that comes from leaving the womb as well as continuing to develop in some major ways. One of the reasons we use the term 4th trimester is because, even at term, human babies are born in a very helpless and immature state. It is an important time for development of the brain. This helplessness does not make them subhuman in fact I would argue that it’s more of a superhuman state. They are developing at an impressive rate and their experiences during this time can have a powerful effect on that development. A lot of this learning is done through sounds and touch, especially that of the mother. Next to breastfeeding, this is the best gift you can give your baby. Taking this time to be with your baby helps to facilitate the rest that you need. Parenthood is a marathon. 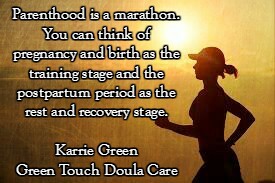 You can think of pregnancy and birth as the training stage and the postpartum period as the rest and recovery stage. It isn’t simply resting but knowing what to do to recover. Taking care of your exhausted body for the long but satisfying road ahead is the best gift you can give to yourself. Remember the old adage “you can’t pour from an empty cup. ” When you make taking care of yourself a priority, you increase your capacity to care for others. So, remember to celebrate the birth of your baby by giving the gift of a peaceful 4th trimester. Share with us: What was the best thing that you did for yourself and your baby in the 4th trimester? Merry Christmas from my family to yours!! Wife and Mother of 4. Serving women in southern MN and northern Iowa. Give the gift of a great birth! The Sacred Gift of Childbirth is the perfect book to give this Christmas. As I wrote my book, I dreamt of giving women the birthing information they desire and deserve. Information that empowers them to make the best choices for themselves and for their babies. I dreamt of changing the world, one birth at a time! But once people actually started reading it, I experienced a pretty big case of nerves! As reviews started coming in, my nerves were eased with the glowing remarks of many readers and reviewers. But there were a small handful of readers who did not like what they read. I was prepared for that. I knew it was unrealistic to expect everyone to sing my book’s praises. As I contemplated the few negative reviews I received, I began to see similarities in all of them. Misinterpreting the message, not understanding the data, and attaching righteousness to scientific outcomes were common themes. So today’s post is geared towards addressing these common concerns and hopefully adding some clarity to a very difficult and new concept regarding childbirth. I worked tirelessly to find the perfect way to explain everything in my book, and overall, readers are understanding and appreciating it. But I haven’t found the perfect way to explain it to everyone so I want to take the opportunity right now to try to fix that with my list of four things that are difficult to understand regarding birth. 1: There is a physiological aspect of childbirth. There is a physiological component to most, if not all, physical aspects and actions of our bodies. This is not a hypothesis and is not up for debate as it has been scientifically proven time and time again. The primary difference between my writing and other scientific writing is I am saying that God purposely created the physiological aspect of birth. Other researchers believe that evolution created this physiology in order to promote survival. You may believe whichever theory you choose, but they both have the same science behind them, and the same ultimate goal of a healthy birth with a thriving mother and a thriving infant. When birth occurs naturally, there is a physiological chain reaction that promotes bonding, increases breastfeeding success, and strengthens the woman physically and emotionally. While many of my critics have tried to discredit it, the physiologic component of childbirth is well-documented and as such is one of the strongest arguments in my book. Believing in the power of physiology does not discredit the power of the atonement or free agency, but gives a broader understanding of the mind-body connection, and helps us make choices that can lead to greater health. The physiology of birth is another testament of God’s love for His daughters because it shows His love in every tiny detail of childbirth. No, not everyone will experience birth the way God intended, but that doesn’t make the information less important or less true. We wouldn’t dream of discontinuing teaching about the Word of Wisdom just because followers of the commandment will not have perfect health. Healthy physiology is not guaranteed during birth, but is a goal women can reach for when planning for a safe and healthy birth. 2: Mortality prevents physical and physiological perfection. My book teaches that the design of childbirth is perfect, but our bodies are not. We are able to apply this thinking to most aspects of our health, but for many it is difficult to apply to childbirth. Surely God designed every aspect of our mortal bodies. Every synapse and response is purposeful and perfect in theory. Mortality takes a perfect design and allows it to be imperfect. But the imperfections of mortality do not mean that God doesn’t have a plan for the human body and its many functions. Physical injury, physical illness and mental illness, are all (to a certain extent) an expected part of mortality, as none of us are immune to them. Since childbirth encompasses the physical and physiological aspects of a woman’s body, we can safely assume that mortality often interferes with the birthing process. God allows mortality to interfere with birth, just as He allows it to interfere with every other physical and physiological aspect of our bodies. While God is capable of removing our earthly pain and illness, He often doesn’t, as experiencing these trials is part of His plan for us to experience mortality and opposition in all things. God is also bound by natural laws, and mortality is a condition that we all agreed to – knowing we would be tested and tried. Along with mortality, we can’t ignore how our personal choices have an effect on our overall health and on our births. Just as proper rest, nutrition and exercise increase our chances of a long and healthy life, proper preparation and decision-making skills increase our chances of a healthy birth. 3: Our choices during birth often interfere with the physical and physiological aspects of birth, but that has nothing to do with righteousness. Utilizing our free agency isn’t always a matter of right and wrong, and personal worthiness is not relevant to birthing outcomes. This is a difficult concept for the Christian who has always viewed choices as good or bad. There is no righteous or sinful options during birth, just safer options with no religious tandem. People really struggle with this one because usually choices that lead to poor outcomes are also labeled as sins, and that makes it easier for us to know what God wants us to choose. This is not the case in birth. Receiving an epidural or needing a cesarean are not sins (a point I make several times in my book), but they can lead to poor outcomes. Since we are always attaching labels of sin and righteousness to our choices, this makes childbirth choices difficult to process and understand. If getting an epidural isn’t a sin, then why can it increase my chances of having postpartum depression? Plainly because it interferes with physiology. Physiological interference disrupts the birthing and bonding process for many women. This information is crucial for women to understand, as Latter Day saints are encouraged (not commanded) to make decisions that support good health. Of course there are the big commandments like avoiding drugs and alcohol, but things like getting enough sleep and low sugar intake are healthy goals to strive for, but won’t keep you out of the temple. Our food and sleep choices often lead to poor health. Poor health, however, has never been deemed a sin. But poor health does make life harder and prevents many of us from using our mortal bodies to their full potential. The physical and physiological potential of birth is miraculous and life-changing. When understood this way, we can’t help but see God’s influence and our own personal influence on the experience. A natural birth without complications is not a badge of righteousness just as a difficult birth with many interventions is not a scarlet letter. They are both the combination of mortality and personal choices. The purpose of my book is to give black and white information categorized into risks and benefits and empower women as they make choices for themselves and their babies. There is absolutely no talk of worthy or righteous choices. 4: Science doesn’t have to be politically correct. Just like our LDS culture wants to assign sin or righteousness to everything, our modern-American culture wants to assign equality to everything. Our politically correct world wants to give women the right to make any choice they want during childbirth, and present all choices as equally safe and rewarding. While I agree that women should be given the right to make birthing choices for themselves, we should not ignore how those choices can affect a birth and the long-term physical and emotional health of the mother and child. As we strive for equality, we still must be able to admit that every choice will not lead to the same outcome. Thankfully, data doesn’t have to be politically correct. We can choose to honestly look at the data and admit that many of the choices we are given during childbirth interfere with the normal processes and functions of birth. It may not be politically correct or popular to admit this, but the truth often isn’t. For those who have misunderstood my work, I hope this has helped clear things up. For others, I hope you have enjoyed learning more about the incredible design of birth. Understanding the divine design of childbirth gives us more reasons to feel God’s love. This understanding also empowers women to make safe choices based in data and doctrine. Choices that improve outcomes, build testimonies, and strengthen families. Is Postpartum Your Sabbath or Your Monday? Every Monday I put on my supermom cape and head to Costco, (and pray my year old won’t have to pee until we get home!). Then while the 3 year old naps in the afternoon, I spend at least an hour chopping and prepping my family’s fruits and veggies for the week. I do laundry and try to put the house back together after everyone being home for the weekend. I love “starting my week off right”, and know that the entire week will be better if I tackle Monday and get all my errands and housework done before the week starts to wear me out. By the time Sunday rolls around, I’m so thankful to have a day where I don’t feel like I should be running around like the maniacal mother I am during the week! There’s no pressure to run errands or clean the house, and I love that! I love a day where I don’t have to feel mom-guilt for sitting on the couch and reading a book. I’ve always wanted to do the “right” thing, and I love that the right thing to do on Sunday is rest. Having a day of worship and rest is critical, and I find that the older I get, the more I need it. But our society values work and accomplishment more than anything else, and even though rest is crucial, it is often not seen as a priority. Several days ago a beautiful meme popped up in my Facebook feed. 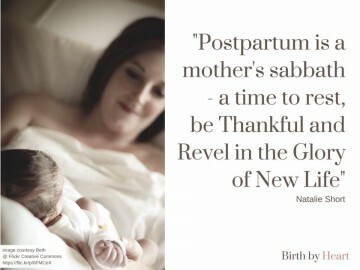 It said “Postpartum is a mother’s Sabbath, a time to rest, be thankful, and revel in the glory of new life”. Isn’t that beautiful?! I love the powerful analogy it provides. I have never considered the postpartum period to be Sabbath-like, but I think I will always consider it that way now. I can’t help but wonder how different the postpartum period would be for mothers if this was how we all viewed it.. Would they give themselves permission to truly rest? And would others enable them to do so? For many women, there is pressure to return to daily tasks like cooking, cleaning, taking care of older children, and even returning to the workforce. We know that many American women are not given paid maternity leave, and their families rely on their income. 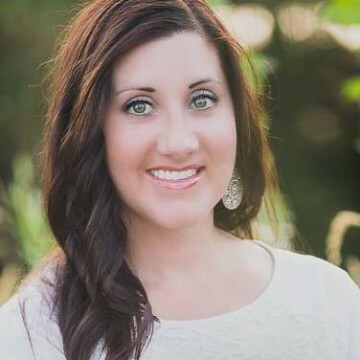 Other women want to be “supermom”, and get back to pinterest as soon as possible. But we also know that not taking time to slow down, recover from birth, and bond with baby leads to higher instances of postpartum depression. 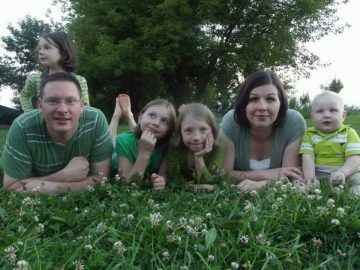 It’s not just moms who need to view the postpartum period as a Sabbath, but spouses, extended family members, friends, employers, and church members need to as well. If outside forces can’t give women permission to rest, then women will never be able to. We care too much about letting others down. So what does a Sabbath-like postpartum period look like? It will look different to everyone, just as the regular Sabbath does. But there are some things that we can all agree on. It should provide rest and respite from daily work. Mothers should not be doing any chores or meal prep during the first couple weeks after giving birth (even longer for some women). Though some will want to, research shows that doing too much too soon leads to a longer recovery period. It goes against our culture to slow down for more than a day or two, but it is needed and crucial for physical and emotional health. It should inspire and spiritually uplift. Since mom should be resting and spending much of her time in bed with her newborn, she can focus solely on bonding with her child and enjoying her special time to do so. Bonding and resting without daily distractions is a gift that will only last for a short time, and should be treasured by the mother, and encouraged by her support team. But it won’t be treasured if mom is trying to do it all, and is only able to give a part of herself to her newborn. This is a great time to sing primary songs to your baby, listen to an uplifting podcast, and fill your own spiritual and emotional cup. Spending a few weeks snuggled up to someone fresh from heaven is bound to inspire and uplift if there are no outside pressures or distractions, and lots of support. It should be different from other days. Women should not expect themselves to return home from giving birth and immediately pick up where they left off. (It’s the Sabbath, not Monday!) The postpartum period should be starkly different from everyday life. Work should be done beforehand to ensure that the Sabbath can be peaceful and free from tasks. Essential baby projects should be done before the baby is born. The last thing a mom needs to be doing is painting the nursery at 5 days postpartum. If tasks cannot be accomplished before the birth, then parents must agree to not finish them until several weeks or even months after the baby is born. Dad can certainly take over painting and crib assembly after the birth, but that will take him away from being able to take care of his wife. 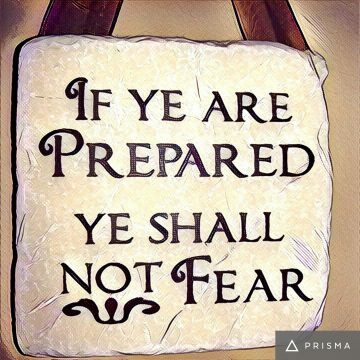 The Sabbath is always better when we are prepared for it. When we are frantically preparing our lessons during sacrament meeting, we aren’t getting the blessings of truly being edified by the meeting. If mom is stressed and anxious because her life is not in order for her baby to arrive, then she will feel restless during her postpartum period, and miss out on some of the joys of truly being at peace and living in the moment with her newborn. I love this analogy, and hope that others see the beautiful comparison and incorporate it into their own postpartum experiences, or help the new moms around them experience a Sabbath-like recovery. 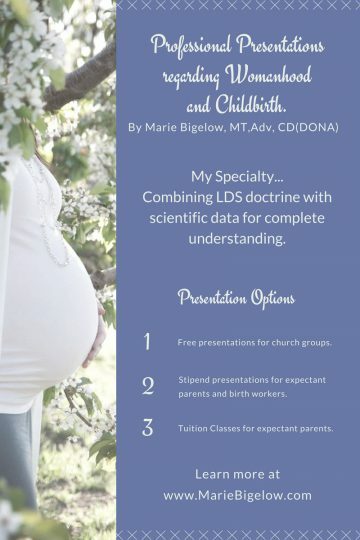 Culture vs. Doctrine, in Mormonism and Childbirth. Culture and doctrine… two things that often get intermingled, especially in the LDS religion. Our doctrine alone makes us peculiar. Add in our obsession with cream of chicken soup recipes, Disney movies, and voting for Republicans, and we can seem downright nutty. But just because all of us have our kids in piano lessons doesn’t mean that playing the piano is part of our doctrine. It’s just our culture. And unlike doctrine, culture is totally optional. Culture plays an important part in societies all around the globe, and it should. Culture gives us meaning and a sense of belonging. Along with our doctrine, culture shapes our day to day lives and adds to our personal identities. It’s important to us, even though it isn’t essential to our beliefs. It doesn’t make us better Mormons, but somehow makes us more Mormon-y! The birthing world has a culture too. And just like in Mormonism, birthing culture is often confused with birthing doctrine, and many birthing women and childbirth care providers are making cultural decisions instead of decisions that are based in truth. After 12 years of working as a doula and childbirth educator, it is clear that the majority of the women I spoke with viewed birth culture as birth doctrine. Our birth culture tells us that women can’t give birth without pain medication, that one-third of them can’t give birth vaginally, and that breastfeeding is rarely successful. However, science (our birth doctrine) tells us that at least 90% of women can give birth vaginally, and that childbirth creates a physiological response in women to help them cope with the discomforts of giving birth. Studies actually show that the field of obstetrics is the medical paradigm that is least based in scientific fact, and in fact, runs more on culture and preference than it does on “doctrine”. Unlike Mormon culture, our birthing culture unfortunately increases risk and poorly affects outcomes. America’s birth culture has actually increased our morbidity and mortality rates- a fact that almost everyone is unaware of. 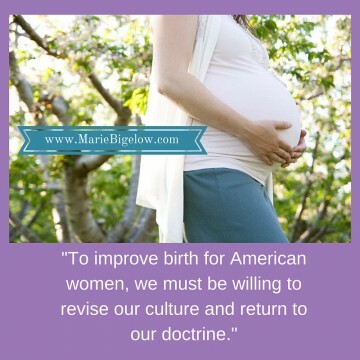 To improve birth for American women, we must be willing to revise our culture and return to our doctrine. We love and live our religion because of the doctrine, not because of the culture. Others look at our doctrine and wonder how we can be happy with so many restrictions; but we look at our doctrine and see its wisdom, and understand that keeping so many “rules” actually keeps us safe and happy. The same could be true for birthing doctrine. Once understood and practiced, birthing doctrine could improve outcomes for women and babies in every state and demographic. Cultural decisions should be made after thorough study into the doctrine, whether you’re in Sunday school or in the delivery room. After reading my book, you will understand the scientific doctrine of childbirth, and know which aspects of birth culture you agree with and which aspects you choose to avoid. Participating in culture is a personal decision that represents choice, not worthiness. But it’s important for everyone to understand that just like Mormon culture, birthing culture is optional as well. We are not only allowed to practice our own culture, but capable of choosing the culture that best fits in with our beliefs system. Beliefs that can only be formed by learning the doctrine. 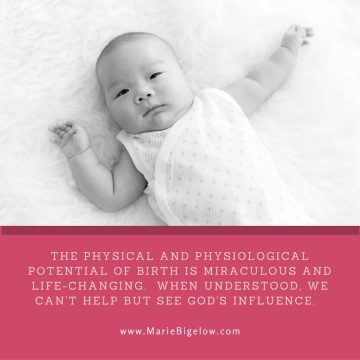 Official website of Marie-Ange Bigelow, Music Birth doula and author of The Sacred Gift of Childbirth: Making Empowered Choices for You and Your Baby. 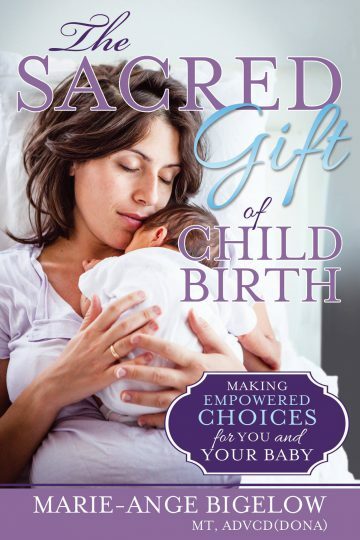 The Sacred Gift of Childbirth: Making Empowered Choices for You and Your Baby is published by Cedar Fort, Inc. Copyright © 2019 Marie-Ange Bigelow. Powered by WordPress. Theme: Accelerate by ThemeGrill.